Stephen Covey, author of 7 Habits of Highly Effective People, also wrote 7 Habits of Highly Effective Families. He has a very impactful perspective on time management. His idea is that we do things most of the time that are urgent and important - "putting out fires" - and never get to the most important longer term projects we want to accomplish, because at this moment they are not urgent. 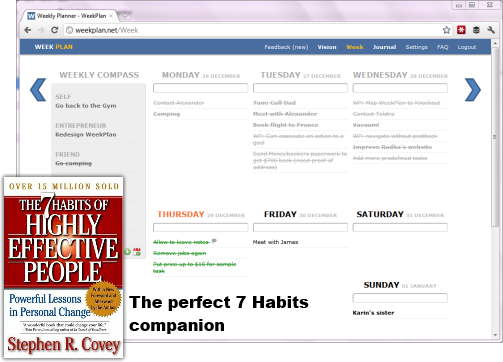 With Weekly Planner at http://weekplan.net/, you can rate your to do list items by the Covey Matrix categories. You also can break up your to do list items by the roles you play in your life.